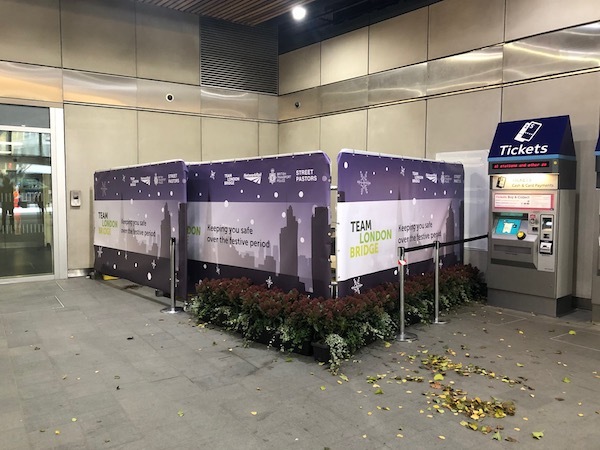 In partnership with British Transport Police and Network Rail, Team London Bridge is launching a ‘Safe Space’ inside London Bridge Station throughout the festive period. Open Thursday, Friday and Saturday evenings from 17:00 to midnight, the area (located next to the station reception near Platform 15) will be staffed by medics as well as British Transport Police officers who will be on hand to assist the vulnerable and ‘worse for wear’ in and around the station. With medical and security incidents typically peaking at this time of year, the purpose of the project is to ensure passengers – many of whom work and socialise locally – get home safely without falling victim to crime, or causing harm to themselves and others. The initiative will be running from 29th November up to and including 31st December 2018.